Whitburn bowler Kieran Waterson in action against Durham Academy, at Whitburn Village. Whitburn will be looking to continue their promotion push again this weekend when they face Benwell Hill. Whitburn, second in the Dukes ECB NEPL Premier Division, find themselves just seven points behind league leaders South North. Skipper Paul Shields said ahead of the encounter: “We are unchanged against Benwell Hill, as a good win last time out has made the selection committee’s job quite easy this time round. “It will be a tougher game this week, so the whole team needs to be on their toes and produce their best form. “We also have our eyes on a little bit of revenge after a 20/20 reverse against Benwell earlier in the season. Benwell official Fenwick Marley said: “Kyle Coetzer returns after his long commitments with Scotland! “However, Adam Heather will be missing and it will probably be Ben Mussett who replaces Adam after fine form with the bat has seen him bag 600 runs in the Seconds so far this season, so he is in pole position for a promotion. “Another replacement is needed for Gavin Main, who is required by Durham. In the First Division, Boldon entertain Sunderland boosted by the return of two key players. 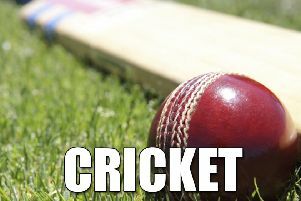 Boldon skipper Chris Ellison said: “Ian Pattison returns after a longish spell out, as does Barry McCarthy, who is returning from Durham duties and Mick Barnes keeps his place. South Shields are just one point above the relegation zone and welcome Blaydon. Visiting skipper Geoff Stewart said: We have five first teamers missing from last week’s defeat, who make their return, so the second teamers who gave valiant performances, revert back. 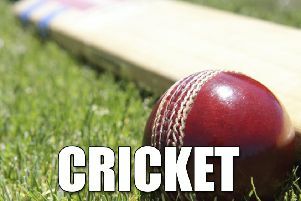 Marsden make the trip to fourth placed Tudhoe in the Readers Durham Cricket League Division One. In Division Two, Boldon CA travel to Hylton with chairman David Thompson stating: “We were very pleased with the win against Littletown last weekend, as they have been doing well this season.